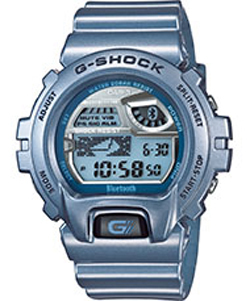 Technology that enables short-range wireless communications, power-saving model G-SHOCK BLUETOOTH , Bluetooth v4. Corresponding to 0 (Bluetooth low energy technology). Wrist during measurement smartphone telephone call or e-mail to receive the ability to advertise, or link to a piece warning, navigation, mobile phone automatic visual modification that works with smartphones, East Conformance speaks a state-of-the-art technology, and a variety of functions, In addition, these features become available. services, while the proud G-SHOCK excellent impact resistance Saints unfolding the area to ensure the robustness of the next generation the same time to realize a battery life of approximately two years, the G-SHOCK, born here.